Last year, on this very field, I leaned against a fence and tried to balance my camera while I teetered on crutches on a frigid, uneven grass surface. 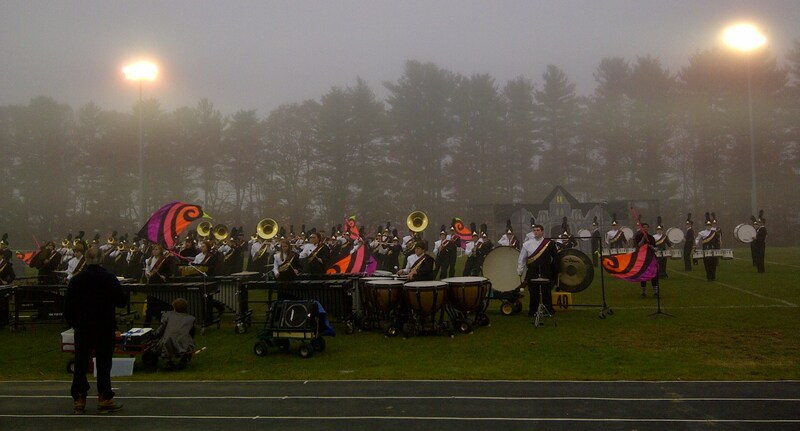 The first plump flakes of the Great Halloween Storm of 2011 began making their way onto more than five hundred students and instruments at regional finals. By the time they left the field it was a full-blown blizzard. Among them–as they did last year and each year before that–these students had rehearsed for thousands of hours under the tutelage of the most dedicated music teachers and other educators one could ever know. This year the band for which I soon will be only an honorary Band Mom performed an uncharacteristically whimsical show, against a backdrop of a haunted house and with several tombstone markers off to one side. For the first time in ten years of marching band competitions we have attended, a dense fog gathered as I approached the field. 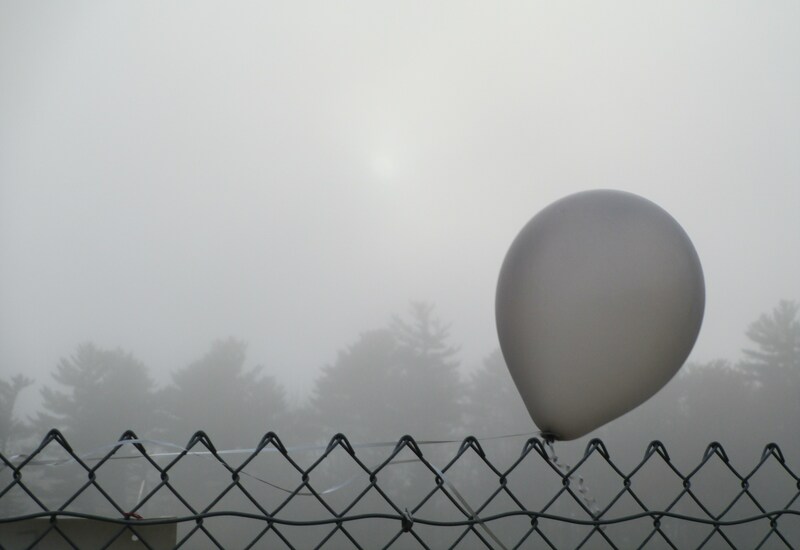 At first it left a patch of bright light peeking through a narrowing opening, but by the time my children’s band stepped off, the fog had mastered even the sun: a sheet of roiling gray had slid in before our eyes like a lens. Quite a special effect for this show. And the gray turned to gold: medals which I know will be among the things my children carry.